In Pulsin’ Ltd v HMRC  TC 6909 the First tier tribunal (FTT) decided that a product called Raw Choc Brownies was held to be a VAT zero-rated cake and not standard-rated confectionary. Products which are on the list of excepted items such as confectionary are zero rated, and not standard rated supplies of food. Cakes are specifically excluded from being confectionary. Raw Choc Brownies comprise individually wrapped bars produced by cold compression of dates, cashews, cacao, various syrups, concentrated grape juice and brown rice bran. Cacao is the predominant flavour. The product is designed to appeal to vegans and allergy sufferers. The FTT decided that whether a product was a product was a cake is “a matter of informed impression”. The product here was similar to other products that are accepted as cakes and the ingredients were similar to those of other allergen-free and vegan cakes. Like jaffa cakes, flapjacks and snowballs then, the brownies were found to be cakes and zero rating applied. 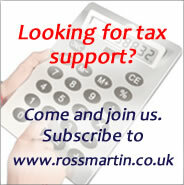 There is often confusion as to how food is treated for VAT purposes. There is a difference between hot food, cold food, food consumed on and off premises, and of course between biscuits and cakes. Our guide explains the rules.